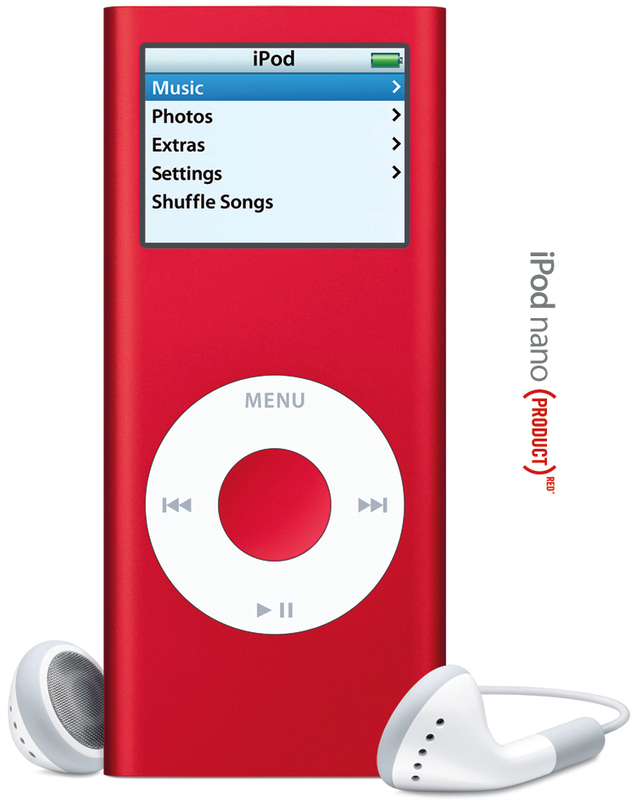 Apple, in partnership with “(Product) Red”, released a special edition 4GB RED iPod Nano last Friday. (Product) Red is a new brand which makes partnerships with corporations such as Apple, Motorola, American Express, and Gap in which a percent of the “red” products sold will be contributed towards the Global Fund to fight AIDS in Africa. In this case, $10 will be added to fund for every red iPod Nano sold. The red iPod Nano will cost $199, which is the same price as all the other 4GB iPod Nano models. Apple also plans to sell (red) iTunes gift cards next month, which will also help contribute to the Global Fund. Overall the (Product) Red is a good deal since it costs the consumer the same price, gives us another color to pick, and helps fight AIDS. Since we never got a chance to cover the release of the second generation iPod Nanos due to downtime, here is our quick briefing. The Nanos were announced in mid-September, and are slimmer and skinnier than the original Nano. The new Nano wears an aluminum case and looks very similar to the discontinued iPod Mini’s style. The iPod Nanos are also available in 5 colors and is available in capacities from 2GB-8GB. The unit also has an improved now 24hr battery life, a 40% brighter screen, and new software. All new shipped iPods will also include a set of newly designed headphones which are more comfortable to wear and are suppose to sound better.